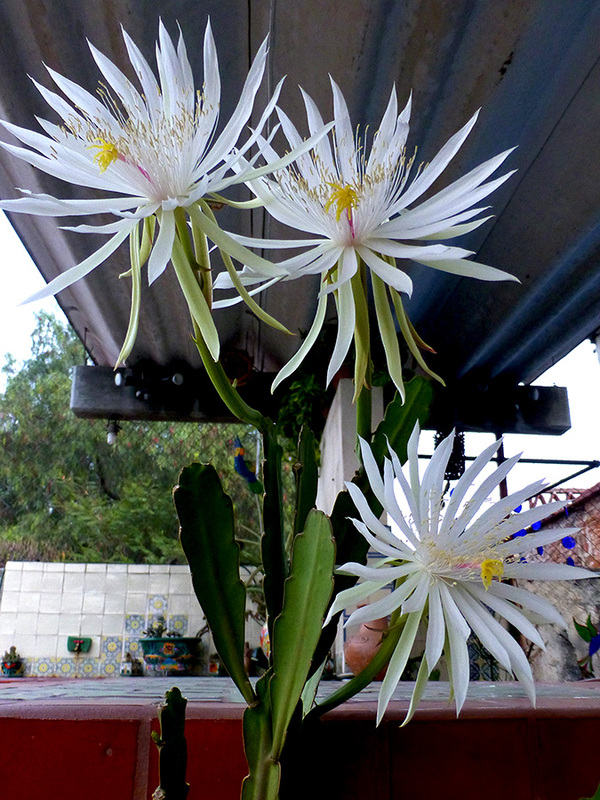 This morning there were three… And, when I came out to greet my night blooming cereus, they looked wistful. Remembering last night’s splendor? Or, reflecting on how fleeting their glory? Me? I’m appreciating their presence in my present. And the blooms keep coming, almost every morning!